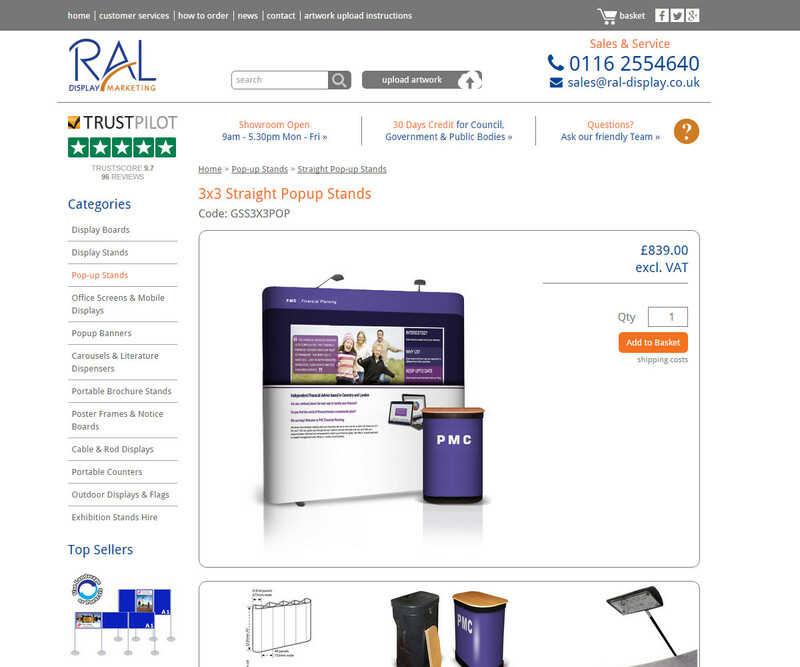 RAL Display is a leading provider of display stands across the UK, providing portable and permanent exhibition stands. 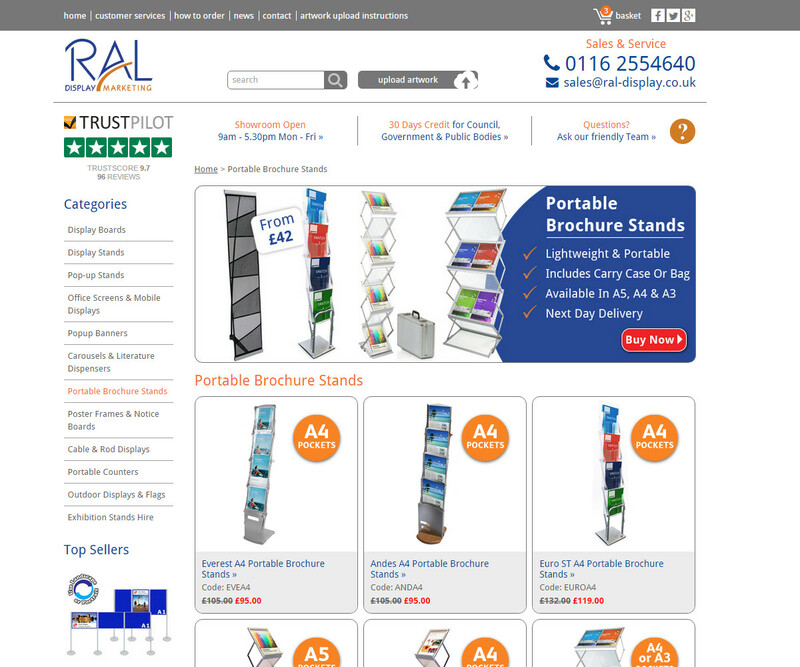 Webfuel have built an e-commerce site which shows off the product range that RAL have to offer. 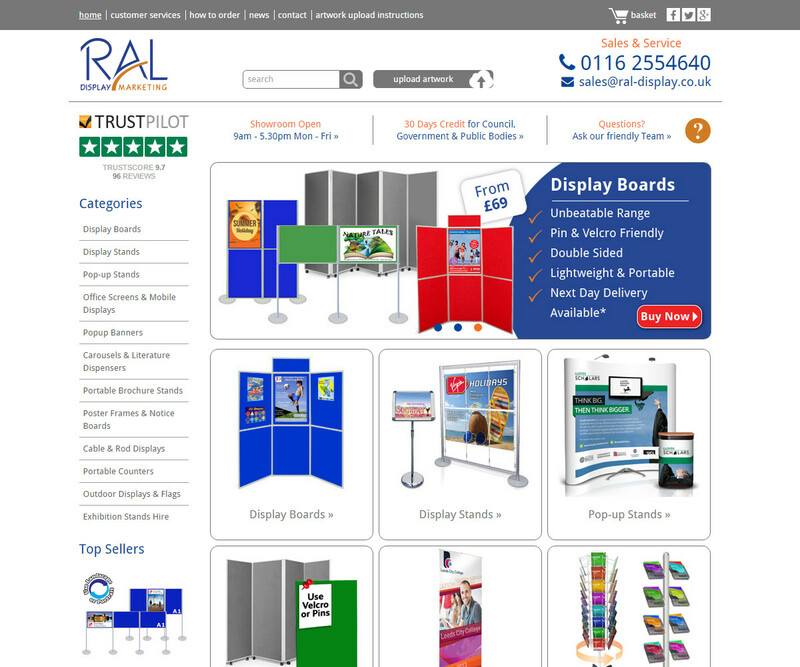 The site is SEO optimised for keywords and intra-site links which ensure a high ranking for key industry phrases. 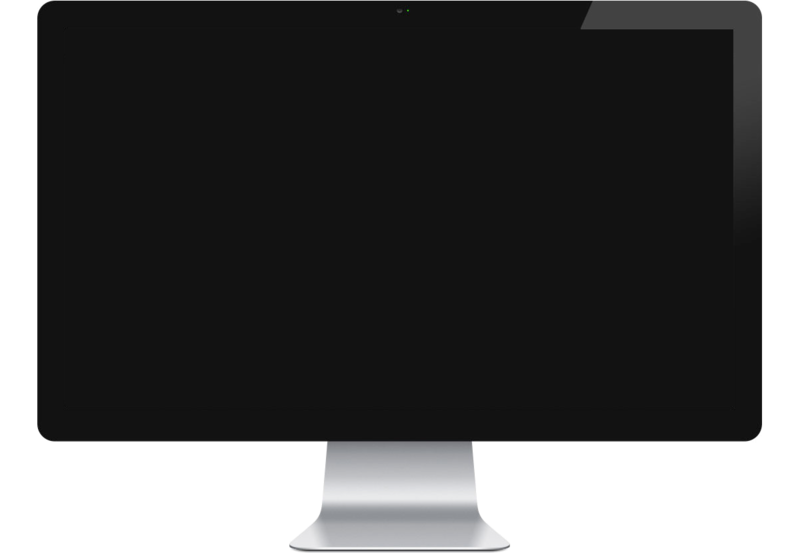 The site also features a comprehensive checkout with multiple payment methods, account creation and order history review.